Is it a pizza? Is it a cake? This one’s definitely sweet enough to be a cake! 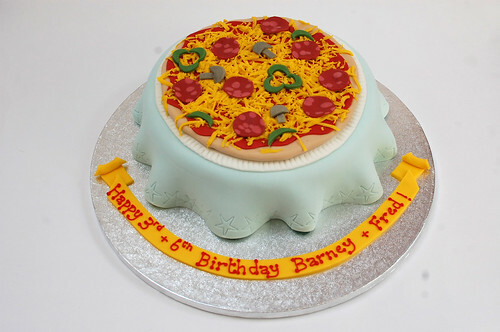 Absolutely ideal for a pizza-making party – the Pizza Cake – from £75.